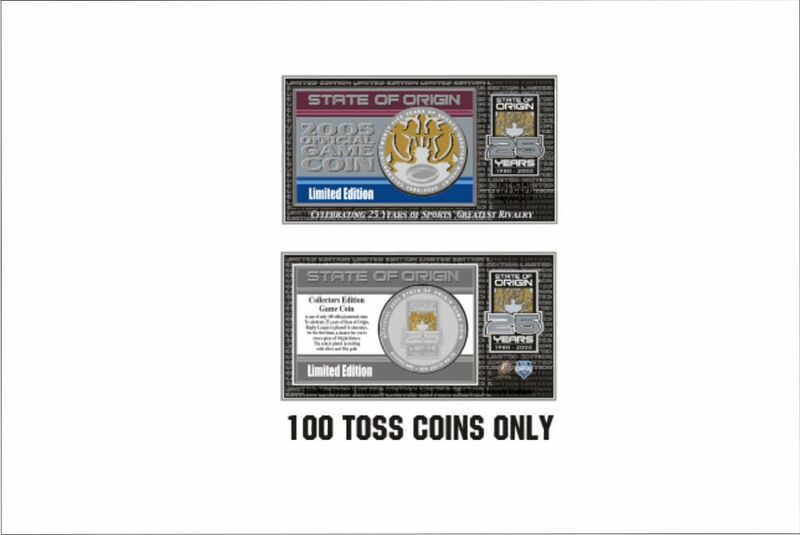 Collector;s edition game coin. Only 3pcs left – they are a collector item! The Tough Guys of Origin – NSW. This exciting new DVD takes an inside look at all things Origin from a Cockroach’s perspective. We talk to some of the New South Wales Blues. 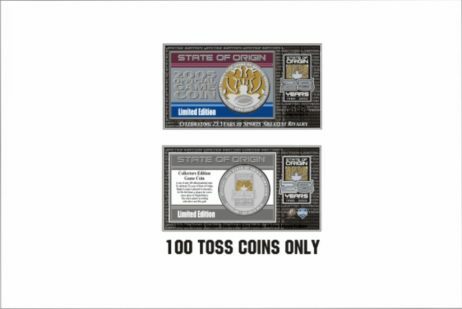 This is a complete history of State of Origin in a gift box set. The set of 3 DVDs is great gift item and can be used for a variety of functions, etc! The DVD is current up to 2007. A documentary special produced by Channel Nine; Wide World of Sports on the last thirty years of rugby league showcase event – the Harvey Norman State of Origin. 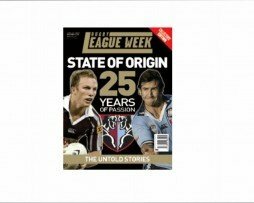 90 minutes of insight into the characters that have made State of Origin the event that it is. Great stories about State of Origin told by the players themselves. This is truly a great DVD for the collection, one I am sure you will watch quite a number of times! Origin program is on DVD only days after the final game of the series in this massive 3-disc set. In full and uninterrupted, with full statistics, this is the yearly landmark production of State of Origin rugby league, featuring all three games.